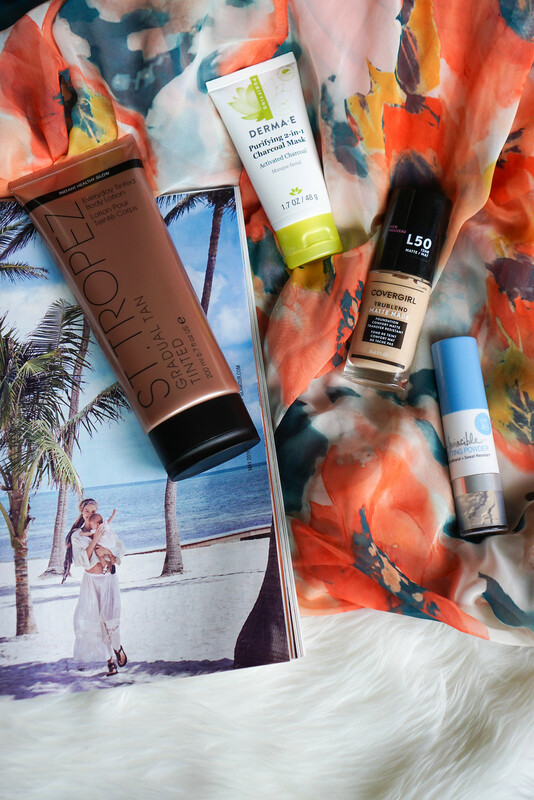 Summer is upon us and while I didn’t get a chance to test as many beauty products as a normally test this past month (a lot going on over here that I CAN’T WAIT to share with you), but one thing I noticed as I was putting together this post is that ALL of the products I wanted to tell you guys about were centered around Summer! I don’t tend to wear a ton of makeup during the Summer, so I like to get my skin in tip top shape before Summer starts! This year these 4 products are making that super easy! 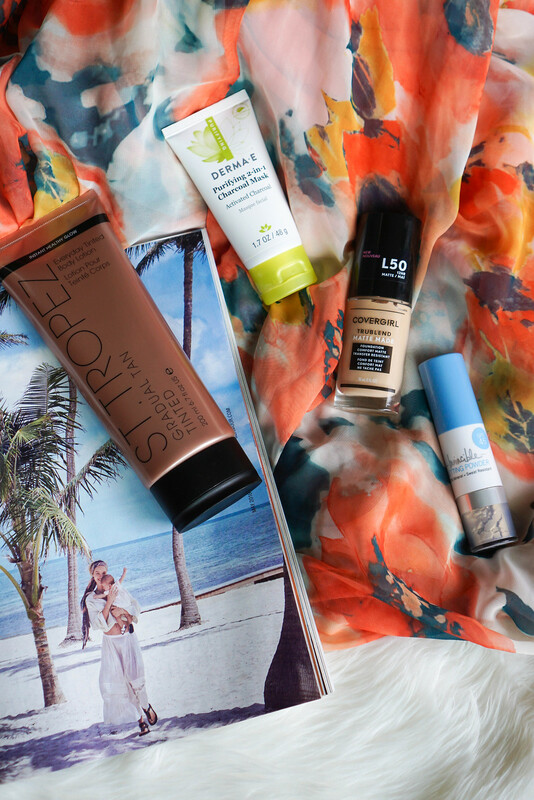 From exfoliation to SPF to lightweight foundation to self tanner, these 4 beauty products will get your skin summer ready! 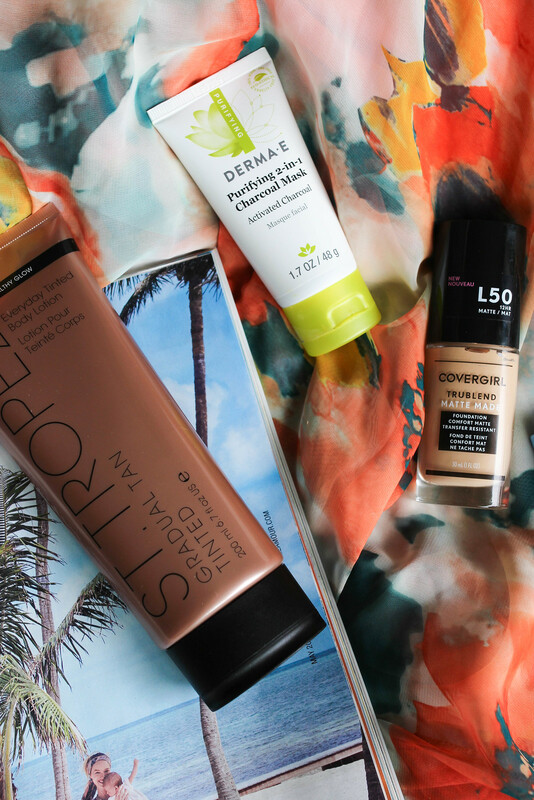 Covergirl Trublend Matte Made Foundation $8.49 c/o – If you follow me on Instagram (which you obviously should be) then you already know I’m in LOVE with this Covergirl foundation! Last week I received a GIANT package from Covergirl in the mail with ALL 40 shades of their new Trublend Matte Foundation and while I couldn’t try them all I did pick out a shade that matched my skin and I haven’t stopped using it since! I even shared how it wore throughout the day on Instagram Stories (you can still view it on the “Beauty” highlight on my Instagram profile). I highly recommend this foundation if you’re looking for a new one or just looking to change up your current beauty routine. It’s perfect for summer because it’s very lightweight and feels moisturizing, but at the same time doesn’t move, wear off or make my skin look oily! I’m a BIG fan! Supergoop! Invincible Setting Powder SPF 45 $30 c/o – Now I know I shared the Derma E version of this mineral powder sunscreen last month, but I’m just SOOO happy that multiple brands are finally making this product that I needed to tell you guys about every version! This is essentially powder SPF that you can use to set your makeup, you can use it when it’s time to reapply sunscreen a few hours after being in the sun and my favorite way to use it…on your hair part, a place that I ALWAYS burn! This powder minimizes oil and shine which makes it perfect to throw in your bag when you’re out for a day exploring or at an outdoor party…even an outdoor wedding! No one likes a shiny face! 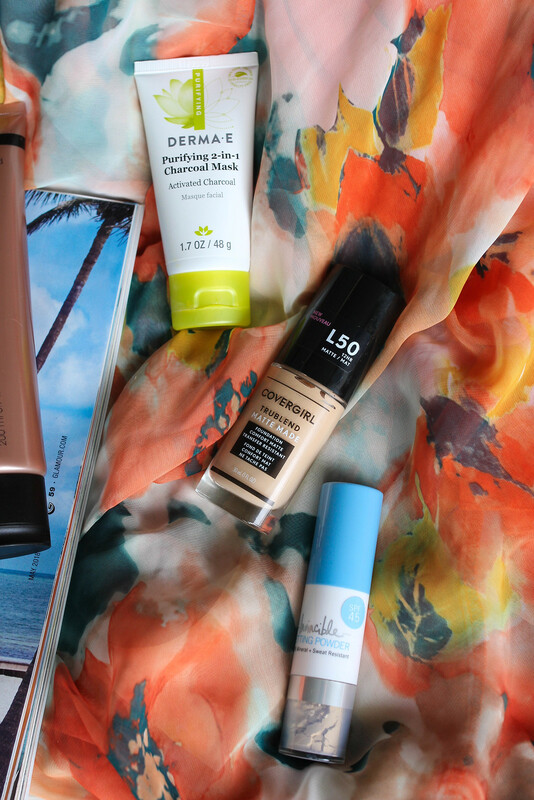 Read more about my beauty favorites here, here & here!